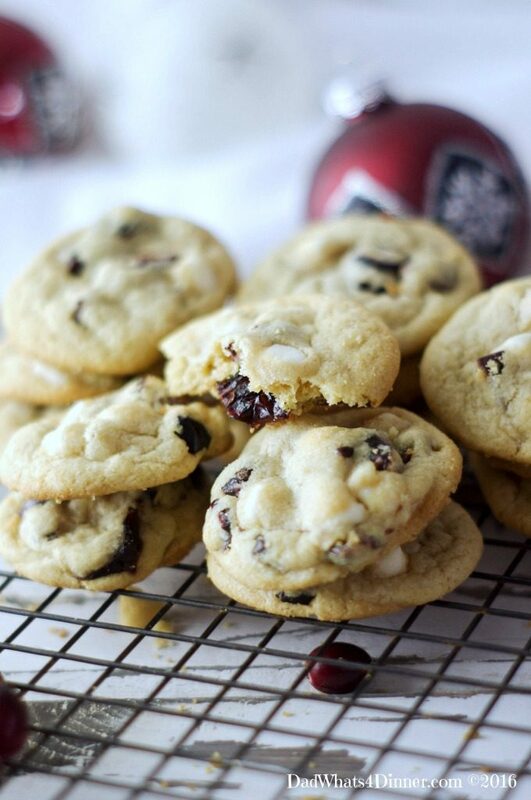 Cranberry White Chocolate Christmas Cookies are the perfect cookie for this magical time of year. 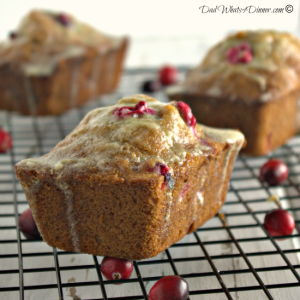 Bursting with the tartness of dried cranberries, the sweetness of a buttery dough and white chocolate chips. Best cookie ever!! 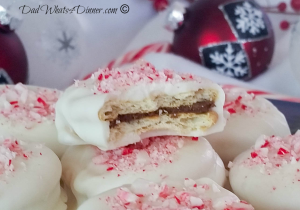 Over the years I have made all kinds of cookies and candies for the Christmas season but these days I only make a few, like my Pecan Diamond Shortbread Cookies and Peppermint Ritz Kisses. I always make lots of English Toffee which is what I am known for this time of year. One of these years I am going to start selling it online. 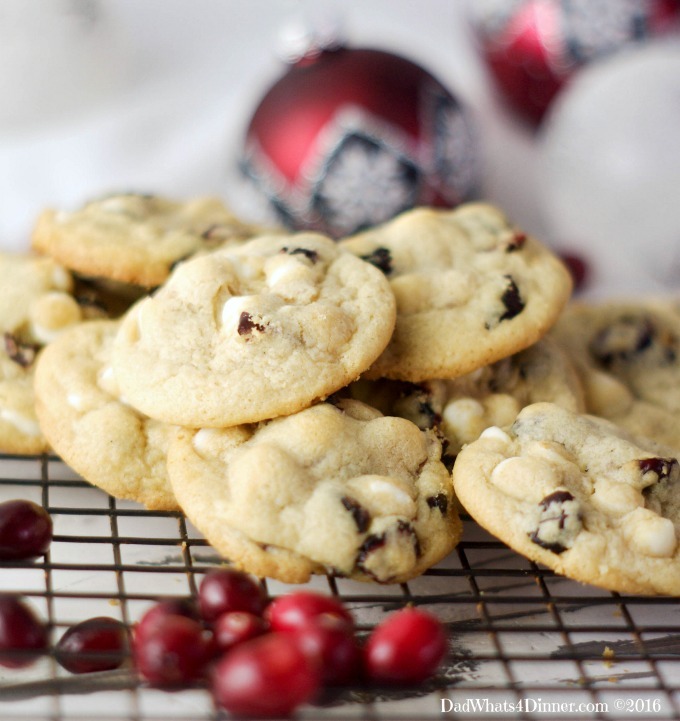 I started making these Cranberry White Chocolate Christmas Cookies a few years ago. 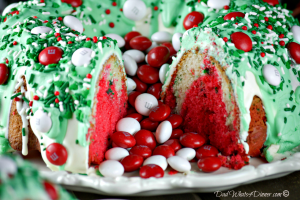 The flavors are fantastic and the colors are perfect for the Holidays. The cookies are soft, buttery, sweet and tart, all at the same time. My niece liked them so much she asked me to make them for her wedding last summer. I think I made about 10 dozen. 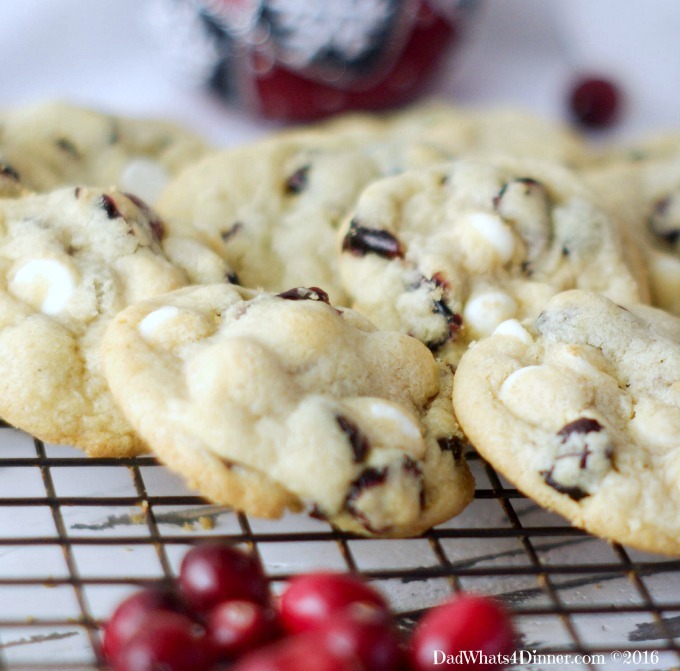 So I guess I shouldn’t call them Cranberry White Chocolate Christmas Cookies just Cranberry White Chocolate Cookies since they are great all year-long. This recipe is modified from a post I found at Sally’s Baking Addiction. She has wonderful recipes and her techniques always make the best cookies and desserts. 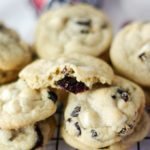 The Cranberry White Chocolate Christmas Cookies are super easy to make but make sure you let the dough chill in the fridge for a few hours. When ready to bake, let the warm up for 10 minutes, as the oven preheats. Also, make sure you never place cookie dough on a warm cookie sheet. 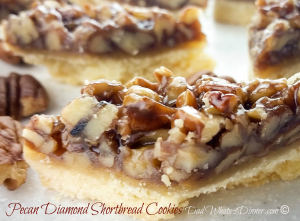 Buy more if needed or wait for the cookie sheets you have to cool down before baking the next batch. If making two batches at a time, I always rotate them halfway through for more even baking. I guess you could use the convection oven selection if you have it on your stove, but I usually do not have the best luck with this function. Probably just me! I hope you enjoy your holidays and sharing the cookies. Using a stand mixer fitted with paddle attachment, cream butter for one minute on medium-high speed until completely smooth. Add the sugars and mix on medium-high until creamy. Scrape down the sides of the bowl and add the egg and brandy. Beat on high speed for 30 seconds. In a separate bowl, whisk together the flour, cornstarch, baking soda and salt until combined. With the mixer on low speed, slowly add the dry ingredients into the wet ingredients. Mix until combined. Add the dried cranberries and white chocolate chips; mix on low for a few seconds until evenly mixed. Wrap dough in plastic wrap and chill in the refrigerator. The dough needs to chill for at least 2 hours and up to 2 days. As the oven heats allow to sit at room temperature for at least 10 minutes or longer if in the fridge for more than two hours. Scoop about 1 tbsp of dough and roll into balls. Place 8 - 10 on each baking sheet. Bake in batches for 8-10 minutes, until barely golden brown around the edges. The cookies will look extremely soft when you remove them from the oven. First published by Quinn Caudill for dadwhats4dinner.com © 2016 | Recipe modified from Sally's Baking Addiction. Sally has the best recipes and great techniques. 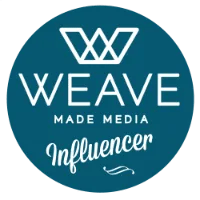 Please check out wonderful her blog. Bring your recipes and DIY projects to Throwback Thursday’s every Thursday at 7:00pm est.! 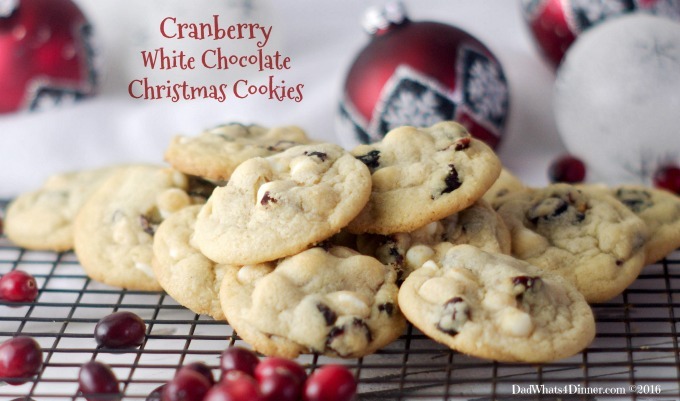 I will be bringing my Cranberry White Chocolate Christmas Cookies to Freedom Fridays, Fiesta Friday, Weekend Potluck, What’s Cooking Wednesdays. Checkout my Link Parties page for other great places to find new recipes. Delicious, classic combination of flavours. Perfect for the season! 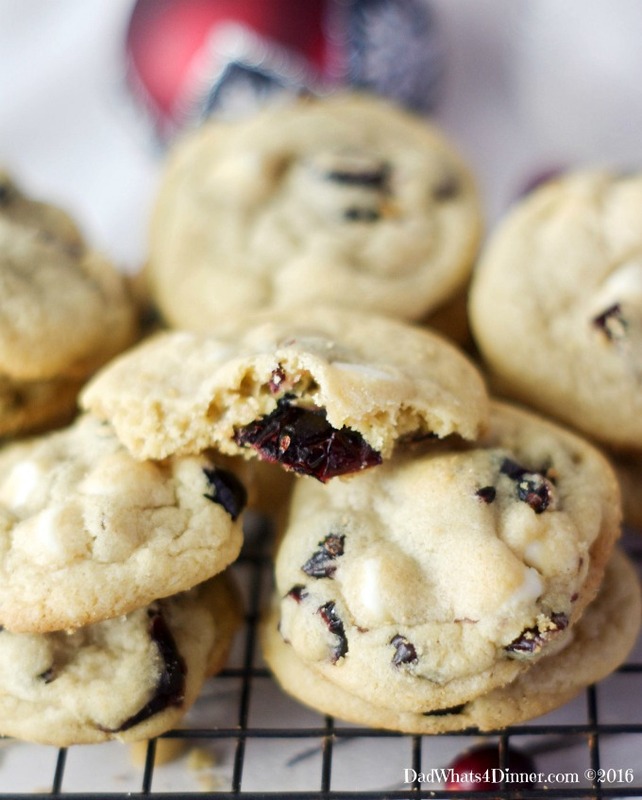 I make a similar cookie and I love the combination of cranberry and white chocolate. A cookie can’t get any better than this. Thanks for coming to the party and sharing another one of your great recipes!